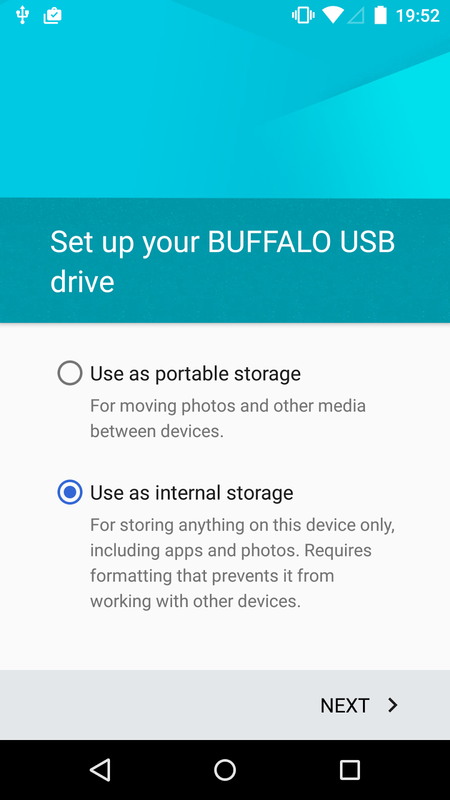 Now, if you connect a USB drive to the device's micro USB slot (you can also use an USB OTG cable), Android will give you an option to set it up as 'internal' storage, which requires reformatting and encryption. 'Portable' storage is formatted using VFAT, as before. After the drive is formatted, it shows up under Device storage in the Storage screen of system Settings. You can now migrate media and application data to the newly added drive, but it appears that there is no option in the system UI that allows you to move applications (APKs). Adopted devices are mounted via Linux's device-mapper under /mnt/expand/ as can be seen below, and can be directly accessed only by system apps. You can safely eject an adopted drive by tapping on it in the Storage screen, and the choosing Eject from the overflow menu. Android will show a persistent notification that prompts you to reinsert the device once it's removed. Alternatively, you also can 'forget' the drive, which removes it from the system, and should presumably delete the associated encryption key (which doesn't seem to be the case in the current preview build). aes-cbc-essiv:sha256 00010203040506070809010a0b0c0d0e0f 0 /dev/sdb2 0"
It completes with error, so we can now try to mount the mapped device, again guessing that the file system is most probably ext4 (or you can inspect the mapped device and find the superblock first, if you want to be extra diligent). This reveals a very familiar Android /data layout, and you should see any media and app data you've moved to the adopted device. If you copy any files to the mounted device, they should be visible when you mount the drive again in Android. If you have root access, you can also partition, format, mount, unmount and forget disks/volumes. The full list of supported commands is shown in the following listing. Most features are also available from the system UI, but sm allows you to customize the ratio of the android_meta and android_expand partitions, as well as to create 'mixed' volumes. Android M allows for adoptable storage, which is implemented similarly to internal storage FDE -- using dm-crypt with a per-volume, static 128-bit AES key, stored in /data/misc/vold/. Once the key is extracted from the device, adopted storage can be mounted and read/written on any Linux machine. Adoptable storage encryption is done purely in software (at least in the current preview build), so its performance is likely comparable to encrypted internal storage on devices that don't support hardware-accelerated FDE. Could you possibly elaborate a bit more on how adoptable storage is exposed to applications? The preview SDK docs are unfortunately not very helpful. - Is an encrypted card usable for media files without migrating just like an unencrypted card, i.e. is migration decoupled from encryption? - Where is the primary shared storage mounted, and does that change after migrating application data? What does Context.getExternalFilesDirs() return in each case? - After migration, is the internal (emulated) shared storage still accessible (via file managers and/or the external storage APIs), or is it completely shadowed by the external shared storage? - Where are APK expansion files (OBBs) stored, before and after migration? Encryption is separate from migration. You can have multiple encrypted volumes mounted and migrate to only one (or none) of them. External storage is implemented the same way as before, i.e. emulated using FUSE on top of the media/ directory of the 'real' volume. It does look you can only have one 'primary external storage' at a time, but not 100% about this without the code. So maybe use dmcrypt and then resize the ext4 file system, then close the crypt session and resize the partition, and then add a new vFAT partition as External SD that Google Music can store on? You had the Holy Grail without realising it. 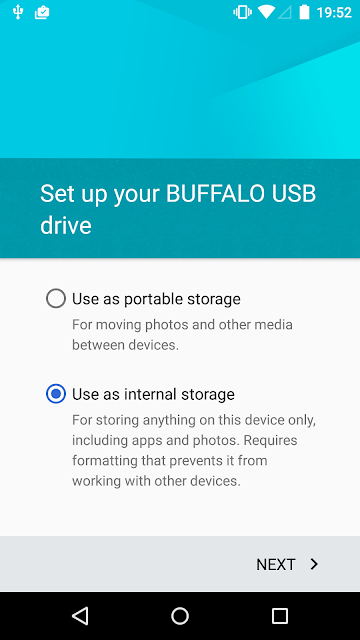 Many people have been stuck with adopted internal storage, because they then have no SD card to which Google Play Music can store the music; and as Google Play Music won't move to the adopted SD card, all music is stored in the internal memory. For me, I have more music than Apps, so this just makes things worse. However your reference to "sm" and "mixed" gave me something to work with. gives me 75% as portable storage. However I advise a reboot after setting the new music storage location this as Google Music may get the wrong idea about much space is available. Will it be possible to use this command to add system storage to let's say the new Galaxy s7 or the G5? My adopted memory card stopped working. So I pressed 'Forget the card'. Now I want to use the card as portable in my phone. Can't seem to format it either as portable card or internal card. Will this technique help? If yes, then great I'm gonna try it and let you know. If no please guide me through the way which may help me. It sounds to me like your adopted card stopped working because the card is damaged, and this is why it also doesn't work as portable storage. I would say that you probably need a new card. 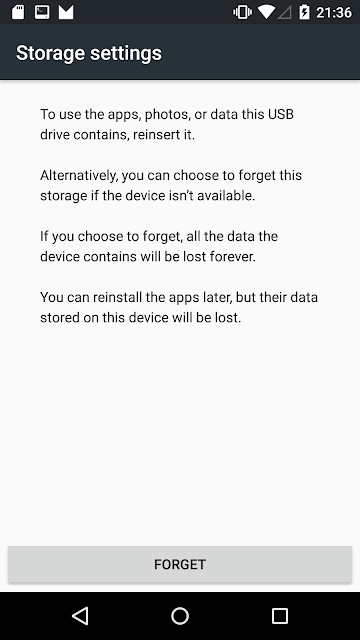 Hi, I configured my micro sd as internal storage in my moto g3 and I foolishly reseted the phone. 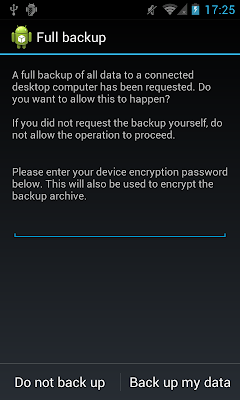 So, now I can't access to all my photos because android tells me that I have to format the sd. The problem is that I really need to recover all my information. Is there any way in which I could unlocked the sd? I'll apreciate your help since I am really desperate and nobody can give me any solution. Bought a new Samsung 16GB SD Card. 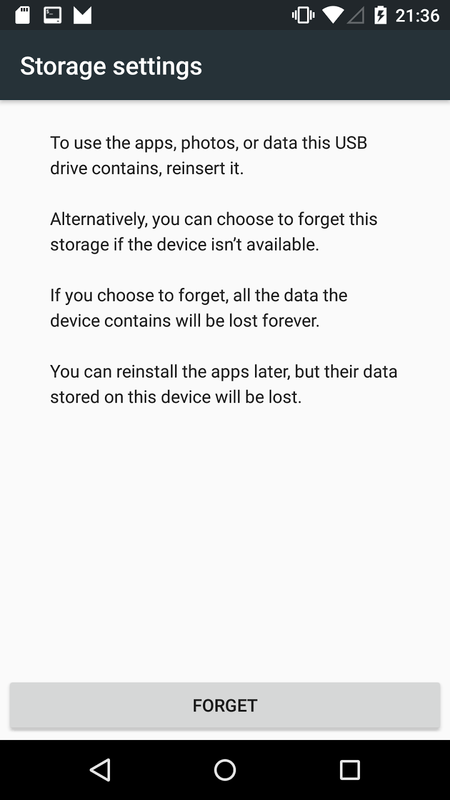 When i try to set-it up and format it as internal memory, settings app crashes and later when i open, it says SD card Corrupted. Im running on CM13 CONDOR NIGHTLY. Thanks in advance. Thank you sir!!! You saved my life. 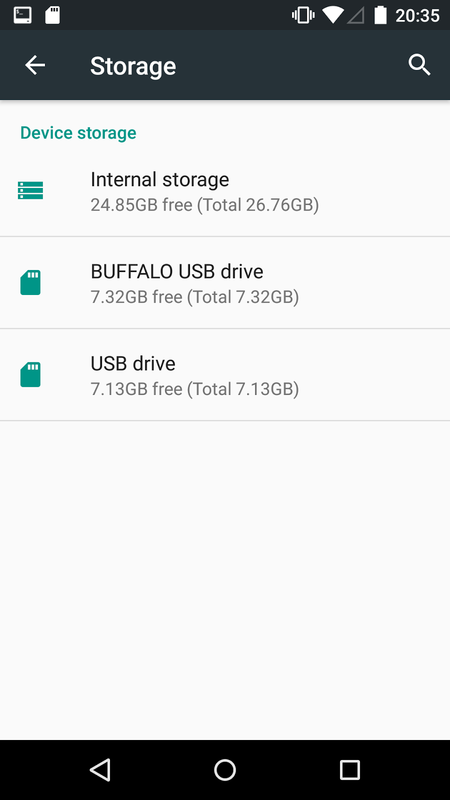 Android wouldn't mount my microsd card anymore due to some corrupt directories. (I used adb shell and ran dmesg to see what's going on). I was able to backup over 18GB of precious family pictures by decrypting it from my ubuntu desktop. You are awesome! dmsetup create mmc --table "0 62299103 crypt aes-cbc-essiv_sha256 1hereismykey1 0 /dev/mmcblk0p2 0"
Should be 'aes-cbc-essiv:sha256'. Also I very much doubt that Ubuntu has a `mmcblk0p2` device. Check dmesg for the correct device name. Thanks a lot for pointing that out...what a silly typing error. the filesystem on the encrypted card was "f2fs" in my case. dmsetup create crypt1 --table "0 `blockdev --getsize /dev/mmcblk0p2` crypt \aes-cbc-essiv:sha256 0...f 0 /dev/mmcblk0p2 0"
and I'm not quite sure what to make of it. Could you point me in the right direction? Hi thanks for your contribution. I would like to consult you something because in my case I have a little more complicated. It has happened the same case as you, but additionally I did a hard reset the cell phone, which, I think I do not have that .key file. Without the key file there is no possibility that can decrypt the file system? Amazing article, very informative. would you know if the implementation has changed in Android N ? Is still possible to extract keys ? Everything worked fine until i formatted my SD card to Internal. After the conversion, it was working well. I was pretty much satisfied. With that confidence, i moved all my apps from Internal to SD card. After some minutes my phone got struck, so i restarted by removing and placing the battery in the back. When it booted up it didn't detect my SD card and kept showing an error that, i need to Forget my SD card. i googled the condition and found a post explaining the issue that it is Android 6.0's bug, and it's highly recommended to not move apps from Internal to SD card without a reboot, after converting the SD card to Internal. The post also explained about wiping the SD card, as the only option left, and instructed to fastboot the device. For some unknown reasons, the default "hold press Power button and press Volume Down" didn't work in my phone and it took me to a meta mode, where nothing is displayed apart from saying that it is a meta mode. Then i took a wrong turn by repeating the same by pressing the Power and Volume Up button. It took me to factory mode, where i was displayed with 6 options in Chinese. I can't read Chinese, and one of the option had an English word "eMMC", i thought this was the option to wipe out the SD card and selected it. It restored my phone to factory settings by erasing the Internal memory instead of the SD card. Now, my phone detects my SD card, but shows it as "Unsupported" under Storage and USB option. And it asks me to Set Up the SD card by formatting it. There are two options, "Use as portable storage" and "Use as Internal Storage". If i select the first option, it says SD card is ready. But it doesn't format or fix the errors . And if i go for the 2nd option, it doesn't format and it displays the following error as a Toast. This is a Strontium 32GB class 10 SD Card. Kindly help me to format the SD Card and fix it's errors so i can use it again. Hi, my adobted card stopped working. 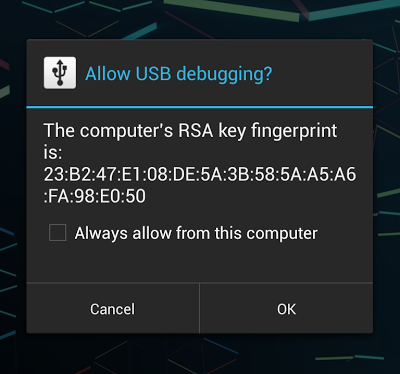 Is is possible to reveal the encrypting key on my phone? It is not rooted. For rooting it needs to have an opened bootloader, but if I want to open it the phone is completely factory resettled - and the key deleted? Some months ago, I had to do a hard reset on my phone, since then I have my 32gb sd card encrypted, it was originally set as adopted storage. After a lot of search, I'm still trying to recover such important files that I have in this sd card, after I fone The hard reset on my phone, is there any way to save the data on The sd? If I lost the encryption key, is there any chance to recover my sd data? Can you tell me, please. Is it possible to recover data from the old card, if I clicked "forget" the disk and replaced it with a new one. Whether the result of this operation, a new encryption key is created and with it it is impossible to do? is there a way to get the SD data/files after a factory reset and not having the .key file ? your blog look nice and informative which I found on internet.thank you for your post. Can someone create a video tutorial? detailing the step-by-step process on how to decrypt adoptable storage? Thanks. Wonderful, and very informative! It helps me understand the internal storage file system and encryption, however my problem is that my phone is destroyed so I'm unable to retrieve my encryption key. Is there a way to find out how the encryption key is derived, or if there is another way to retrieve it? dmsetup create crypt1 --table "0 `blockdev --getsize /dev/mmcblk0` crypt \aes-cbc-essiv:sha256 0180e00...170fe15b73b4f 0 /dev/mmcblk0 0"
I also had the problem that somehow the SD-card with very important pictures/movies was no longer available in the moto G.
sudo dmsetup create crypt1 --table "0 'blockdev --getsize /dev/sdd2' crypt \aes-cbc-essiv:sha256 63d27a5ac67ec961207eda47f34aa99c 0 /dev/sdd2 0"
I get the error below. dmsetup create sd1 --table "0 `blockdev --getsize /dev/sdb2` crypt aes-cbc-essiv:sha256 bbbbc2188b3e4a7476148a9411545715 0 /dev/sdb2 0"
Hi I was using a 64 GB card as internal storage on lenovo k4 note. Had given the phone for some repairs and removed the card. However after receiving the phone back which was factory reset the card was not recognized. Even the card was formatted . Have important data on it so please help me recover the data. I am not that computer savvy so plz explain in detail.. Thanks for these instructions. I'm hoping to test them out tomorrow. After reading your instructions carefully, I noticed that the encryption key you pass to the dmsetup command has what appears to be an extra "01" byte after the "09" byte that isn't in the od command above? Is that typo or am I missing something? I've found that the adopted sd's files can be easily accessed from twrp recovery...idk how this is possible....tell me how that works!